Polaris Pumps offers a complete product range of submersible pumps for a variety of applications in today’s Sand and Gravel Industries. Our pumps can be configured for any combination of environmental conditions and duties in order to precisely meet our customer’s requirements. With our wide range of sizes, abrasion resistant white iron wet end components and our line of duty configurable motors, our pumps are ideally suited for any submersible application in your Sand and Gravel operation. 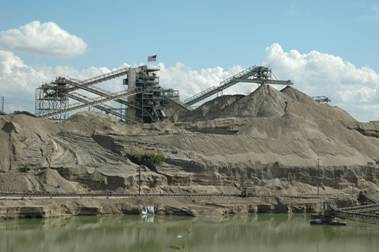 Download Sand & Gravel Application brochure here.